Hey, you remember that phone that came out a few years back? You know the one that had the snazzy flip screen and the awesome keyboard? 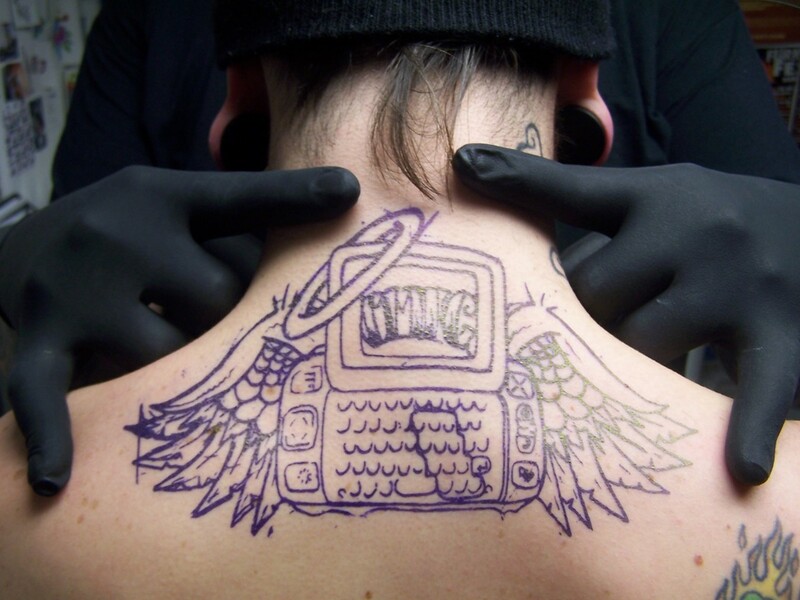 We loved us some Sidekick II (aka Hiptop) back in the day. And so did he. 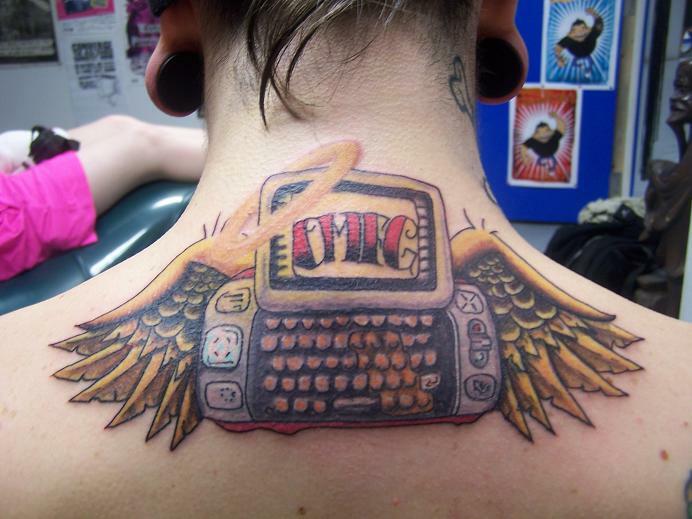 Tagged with back, cellphone, Danger, Phone, Sidekick. 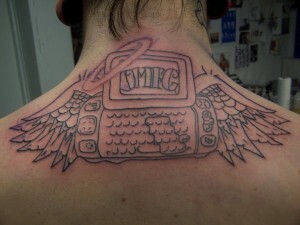 OMFG, you’re retarded for getting this tattooed. When I saw the word Sidekick – I thought Borland and the Old Guy who came down from the hills now and then – TurboPascal on Osbornes, BigBoards and Cromemcos – showing my age , I guess! !